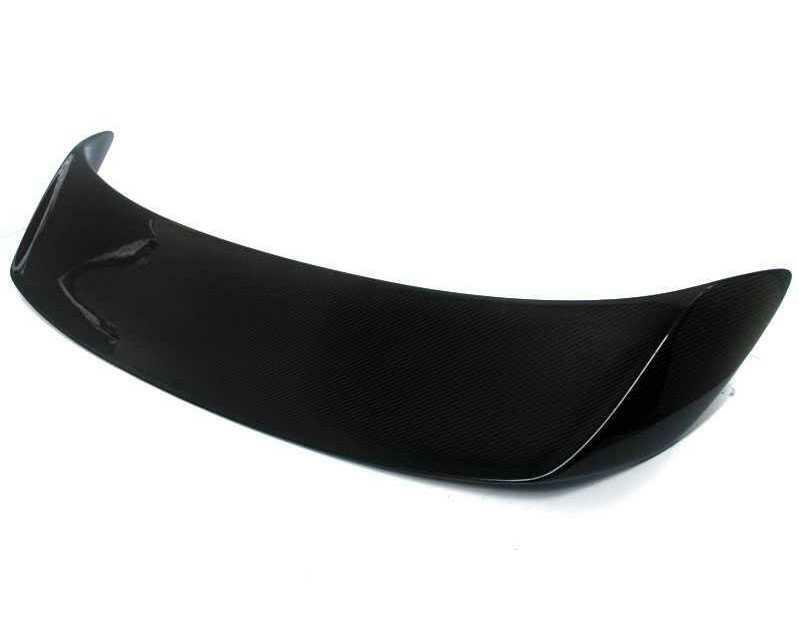 Agency Power Carbon Fiber GT2 Style Add-on Rear Wing - Dezod Motorsports Inc - Home of the automotive performance enthusiast since 2002. The Porsche 997 Turbo is an incredible machine that can reach unbelievable top speeds in its stock form. Taking this car to the track however requires some increased downforce. Downforce helps the car in traction by keeping the rear end planted on the ground. Modeled after the GT2 rear wing blade, Agency Power has released this add on wing to work with the stock decklid. Not only functional, this rear wing also adds style! The wing blade ends extend out and turn down to knife through the air. The wing blade follows the rear fender lines to give you that more aggressive look. The high glossy carbon fiber blade is done using a prepreg process with 2×2 carbon sheets. The process means the carbon work is 100% flawless. It has CNC machined fittings for an easy install in place of your factory wing blade. This wing will work with the factory spoiler hydraulics to go up and down like the stock one. Since the wing is completely carbon fiber, it is very lightweight and strong giving you confidence in what your Porsche Turbo can do further at speed.